IS MOVING BRUCE LEE OVAL A FREO OPTION? The City of Fremantle will undertake a feasibility study to assess options for the future use of Bruce Lee Oval and the Lefroy Road Quarry as part of a plan to guide the revitalisation of the Heart of Beaconsfield. The Heart of Beaconsfield project is a co-operation between the City, the Department of Communities and other partners to coordinate the redevelopment of the area around the Davis Park precinct, Bruce Lee Oval, Lefroy Road Quarry and the former South Metropolitan TAFE site. Fremantle Mayor Brad Pettitt said a key question to be settled in planning the Heart of Beaconsfield is the best use for Bruce Lee Oval and the Lefroy Road Quarry. “The quarry site has the potential to provide 1.5 times more green space than the oval, so there’s an opportunity to develop new and better sporting facilities on the quarry and allow for some new diversified housing on the oval,” Mayor Pettitt said. The study will show if it’s technically and financially feasible to relocate the oval, so before the City finalises the draft masterplan they are conducting the feasibility study to find out. If the study shows the relocation of the oval is not feasible the oval will be retained in the draft masterplan. If it is feasible this option may be put forward to Council for further consultation. Regardless of the outcome of the study, the community will have the chance to have their say and the masterplan can still be amended before it’s officially adopted. The oval feasibility study will take up to six months. The full Heart of Beaconsfield draft masterplan is expected to be released for public comment mid next year. For more information visit the Heart of Beaconsfield page on the City’s My Say Freo website. WHY ANOTHER BORING BUILDING FOR FREMANTLE? The new clubhouse at Fremantle Park is an opportunity lost if the City of Fremantle approves the design of the building. What is suggested is boring 1970s design that has no street appeal, and the proposed new building might well be in the wrong location for it to get maximum benefit out of it for all three clubs that will call it home. I had envisaged a modern clubhouse surrounded by the playing fields, in the location of the present bowling club building, with a balcony all around, so that players and visitors could watch the tennis and lawn bowls from upstairs and enjoy views to the Fremantle Arts Centre and the port from there. Why is the design so boring and does the building look cheap when the total budget for the project is $4.1 million? $1.85 million is coming from the City of Fremantle, $1.85 million from the Fremantle Workers Social and Leisure Club and $400,000 from the state government’s Community Sport and Recreation Facility Fund. When the community regularly complains about the mediocre architecture of new buildings the City of Fremantle has to show that great architecture is achievable in our city. This proposal is very disappointing. The plans for a new clubhouse at Fremantle Park on Parry Street can finally go ahead after Fremantle Council approved it on Wednesday. The clubhouse will become the new home for the Fremantle Workers Club, Fremantle Tennis Club and Fremantle Bowling Club which will share the two-storey premises. The City of Fremantle also plans to build a public carpark next to it to accommodate inner city parking. The $ 4,4 million project will be paid for by the Workers Club, the CoF and the Department of Sport and Recreation. The Fremantle Workers Club will pay $ 1.85 million, as will the City. 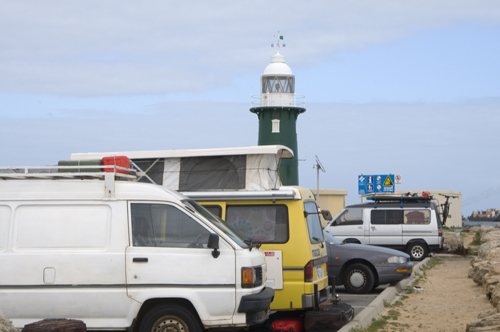 The State Department will pay $ 400,000, and Fremantle City will pay another $ 300,000 for the public carpark, if the use is approved by the state.